Rail workers will stage their 47th strike on Saturday in the long-running dispute over guards on trains, causing fresh disruption for passengers. Members of the Rail, Maritime and Transport union (RMT) on Arriva Rail North (Northern) will mount picket lines outside stations across the region. Few services will run after 5pm and trains are expected to be busy, hitting travellers including sports fans and shoppers. The union announced it would hold a public meeting in Chester on February 7 to discuss the dispute after lobbying a meeting of Transport for the North earlier in the day. General secretary Mick Cash said: "RMT members will be standing solid again tomorrow for the 47th day in support of a safe and accessible railway for all in the long-running fight to put public safety before private profit. "It comes in the week that Northern slumped to second bottom in the league tables on passenger satisfaction and speculation ramped up about a fire sale of the Arriva operation by their owner Deutsche Bahn. "On Thursday we will be lobbying members of Transport for the North over the dispute at their meeting in Chester and we will be setting out the case for the guard and safe, accessible services on Northern trains at a public meeting later that afternoon. 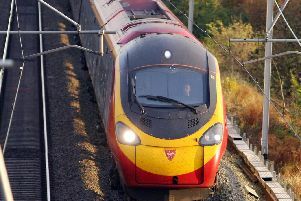 David Brown, Northern's managing director said: "More than 50% of all rail journeys in the UK are made on driver-controlled trains and recently the Department for Transport and Transport for the North publicly confirmed that a second person - in addition to the driver - would be retained on Northern services. "Therefore, there is no reason for the RMT to continue its disruptive and economically damaging strikes but despite this, the RMT continues with its strike action."